Roy Adams is a retired police wildlife crime officer and served almost thirty two years with the Devon and Cornwall Constabulary. He lives in a village close to Eger. 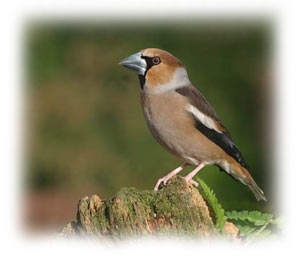 He has worked closely with the RSPB and Forestry Commission and is mostly known for his studies of the hawfinch. Since his first visit to Hungary in 1995 he has built up a good knowledge of the birds in eastern Hungary and works closely with the Bukk National Park staff on conservation schemes. Although a specialist in woodland birds, Roy has an excellent local knowledge of different habitats and their assorted bird life. Click here to send Roy an email.